Our CSA blessed us for a few weeks with lots of scallions. Sure, you can use them as a garnish, add them to a dip or salad, or get creative with some Asian-inspired dishes like scallion pancakes or potstickers. Not having one of my creative days in the kitchen, I was looking for something that I could make with what I had on hand – some flour, eggs, milk and cheese. The origin of the scone comes from Britain or Scotland. 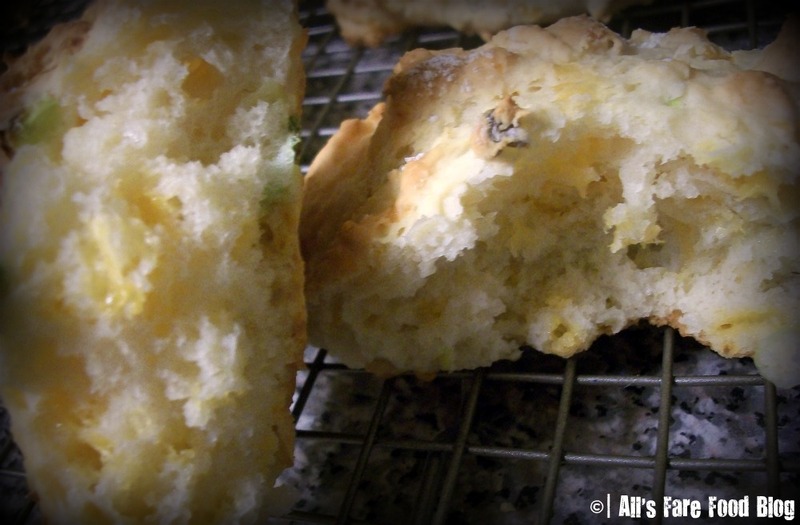 The small quick breads can be sweet like my favorite flavor with orange and cranberry, or it can be savory like this recipe for scallion and cheddar scones. I turned to the Web for some recipe inspiration and came across Farmgirl Fare’s take on a savory scone made with feta, cream cheese and scallions. Even though I had feta in the house, I wasn’t in the mood for something too pungent so I swapped out the sheep’s milk cheese and used some shredded cheddar instead. The resulting scone was surprisingly moist and a great side item served with some pasta we had for dinner one night. The scones also saved nicely in zip-top bags in the fridge and then reheated in the microwave for a quick addition with our morning Kefir smoothies. So, if you’re like us and have come across loads of scallions at the farmer’s market or through a CSA, try this simple recipe to unload a few of your crops! Combine 2½ cups of flour, baking powder and salt in a large bowl. Add the cheddar and cream cheese, and toss gently with a fork until combined. 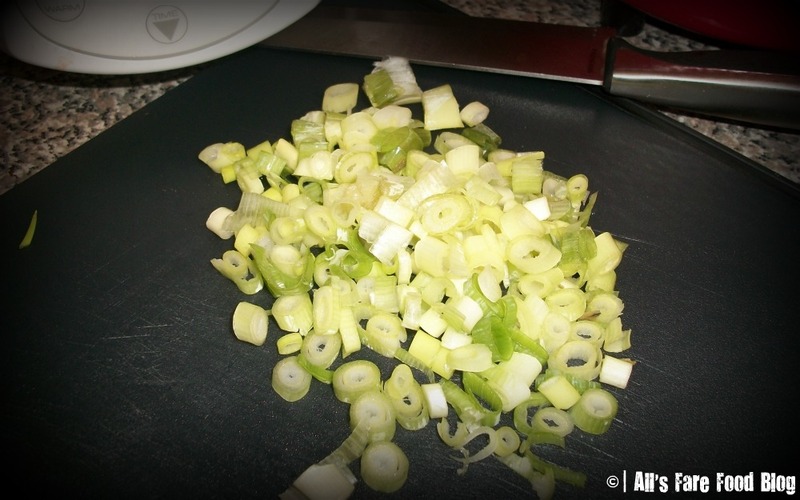 Next, add the scallions and toss gently with a fork until combined. On a floured surface, gently pat the dough into a circle about one-inch thick (or into two smaller circles for 12 scones). You want to remember to handle the dough as little as possible so it remains tender due to the glutens that form. With a sharp knife that has been dipped in flour, cut the dough into eight or 12 wedges (depending on how large you want your finished scones). 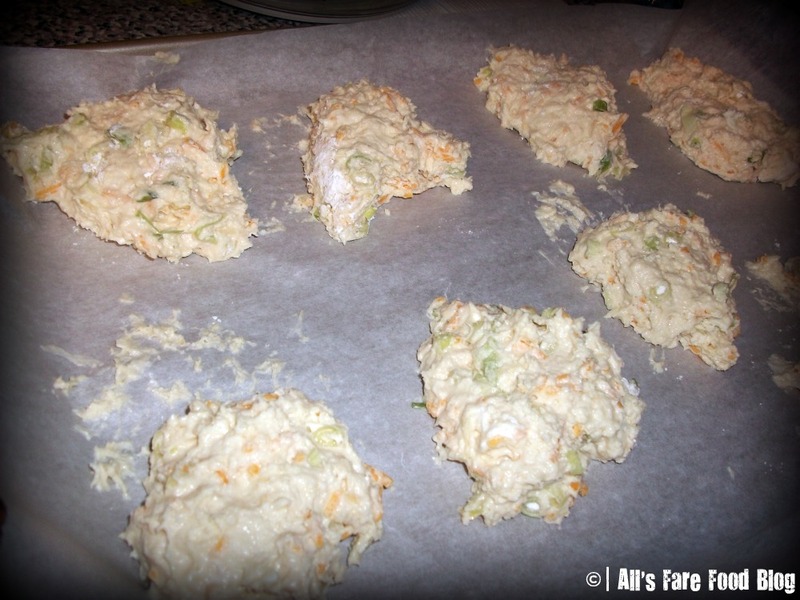 Place on a baking sheet that is lined with parchment paper. Bake for 20 to 25 minutes until golden brown. Remove from the oven and cool on a wire rack. Serve warm, or you can cool completely, place in a zip-top bag or airtight container and refrigerate until you’re ready to serve. 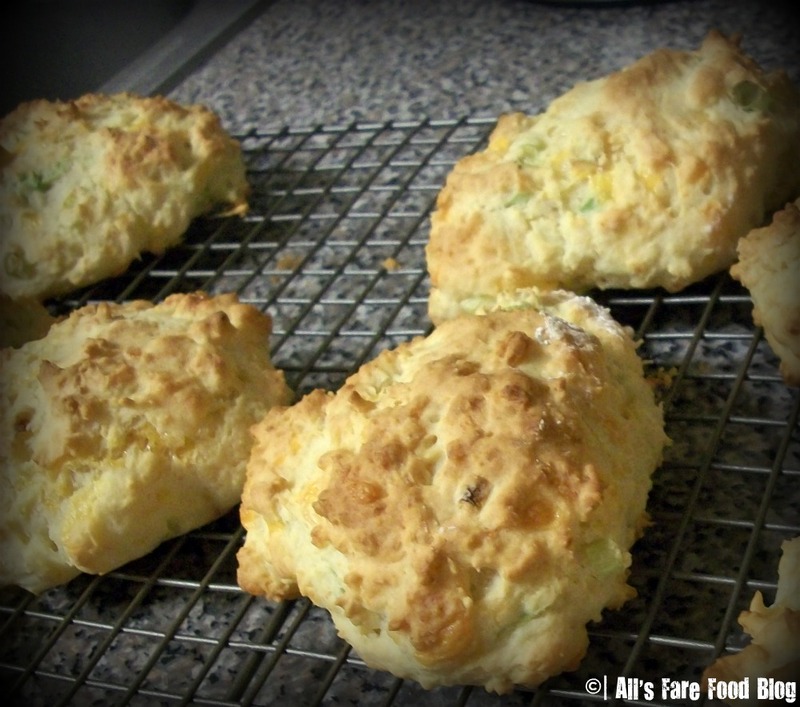 This entry was posted in Cuisine - American, Recipes and tagged cheddar, CSA, Farmer Dave's, farmer's market, Farmgirl Fare, recipe, scallion, scones by Christina. Bookmark the permalink. Glad to see Britain being mentioned here :d. I just did a recipe for traditional British scones – I love them. Cheese ones are next on my list now! Thanks for stopping by! You have a great blog, too!